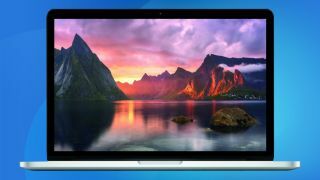 Some owners of Apple's 2015 13-inch Retina MacBook Pro have reported unusual activity bogging down the machine - including unusual levels of cursor lag and poor battery life. Reported by MacRumours, the juddering seems to affect OS X Yosemite's animations - such as opening Mission Control or Launchpad, resizing windows and launching full-size apps. Other users have reported battery life of five-to-six hours, which falls well below the advertised "up to" 10 hours. Posted in two seperate threads on the Apple news website's forum that have racked up more than 200 replies between them, the MacBook's integrated Intel Iris 6000-series graphics have been held up as a potential culprit. However, some users have reported succesfully fixing the issue by doing anything from PRAM reset to reducing Yosemite's transparency effects. TechRadar has contacted to Apple for comment.